Many of us enjoy watching dog shows like the Westminster Kennel Club Dog Show, whether live or on TV, and they always look like a lot of fun. Have you ever wanted to enter your pup into one of these dog shows? Did you consider what type of work is required and how difficult is it to begin showing your dog? I was very pleased to welcome our podcast guest Gail Miller Bisher, Director of Communications for the Westminster Kennel Club, as our guest on this episode. We have discussed everything related to dog shows, including the difficulties and rewards, what type of show dogs are suitable, how to get started with showing your dog and what kind of work is involved. Gail enlightened us with tips on everything to know about this and a lot more, including some fun facts and stories from previous Westminster Dog Shows. Have you been thinking about getting into the show dog circuit? Maybe you are wanting to get a purebred dog for the purpose of dog showing or maybe it's just something that you enjoy watching on television or in your local area and you're thinking about getting started. Either way, it can be very overwhelming to start to think about getting a dog if you don't have one already and how to break into this industry. Today, I was fortunate enough to speak with Gail Miller Bisher. She is a representative for Westminster, which of course is one of the most famous dog shows in the world, certainly the most famous and most prestigious here in the United States. And she gave me some tips and tricks to share about getting your first show dog and getting him ready for the show dog circuit. Gail: My name is Gail Miller Bisher and I'm the Director of Communications for the Westminster Kennel Club. I'm also the analyst for the Fox Sports One telecast of our dog show. Samantha: That sounds like a really fun job. Gail: [laughs] Well it is fun, because I'm always talking about a topic that I love, which is dogs and I grew up showing dogs. My parents were involved in the sport and bred Bearded Collies. So we always had at least 10 Bearded Collies in the house at any given time. They didn't breed a lot, they would breed maybe one litter a year, which was fine. And I showed whatever dogs we had and sometimes they might have been the stubborn dog or something like that. That was a great training that I learned how to deal with all types of different temperaments and personalities. And competed in many different dog sports, Conformation, which is the dog shows that we all see. Then of course I also competed in junior showmanship, which is a competition for young people where the handlers are judged and not the dog. The handlers are judged on the handling ability. So I was very involved in that. And actually that's how I was introduced to Westminster as a junior handler. We have a junior showmanship competition at Westminster and Westminster promoted this since 1934 and we've always been very involved in encouraging youth and trying to get young people involved with dogs and do things with their dogs. This gives people a chance to do just that. So as a young person, I would compete in junior showmanship and you have to qualify to even enter Westminster. So only the top winning kids around the country are able to qualify and enter Westminster. So I did that in my teenage years and placed in the finals, second one year and my last year of eligibility because once you reach 18 that's your last year you have to move on. That was really my introduction was flying from the Midwest to New York and bringing my dog and showing in Manhattan as a young person. Yeah, it's great. But you know, the thing is anyone who's involved in the sport of dogs knows that Westminster is the most prestigious show in our country and one of the most [inaudible] for sure. It is historic. Next February will be our 143rd annual dog show. So we've been around for a very long time. The organization was established in New York, the first show was in Manhattan and our dog show has been in all four of the different Madison Square Gardens. We are their oldest tenant at Madison Madison Square Garden. And we are just really entrenched in New York City. Samantha: Wow. Very cool. That's great. So for pet owners who might be thinking about showing dogs, do you have some things that maybe they should be considering before they even get started in the process? Gail: Sure. The first thing to do if you're interested, if you think you might want to get into dog sport is find the breed that's right for you. It's very important to make that match and make sure it's a good fit before you bring the dog into your home. These dogs, we have just over 200 breeds that are shown at Westminster and each of those dogs was purpose bred. There was a reason that they were developed centuries ago. Some were companions, some were working dogs and some were herding dogs, some were guard dogs. They're different temperaments needed for all of those jobs. Some were ratters and hunters of small game to help men live and survive and feed their family. So they all had different jobs and their temperaments reflect that. So it's important to know what kind of dog you're bringing into your home and what their temperaments and what their needs are going to be. Some breeds just need a lot more exercise than others. Some are more independent than others. So the best way to find the breed that's right for you is to go to a local dog show and talk to the breeders and owners and find out more about the breed you are attracted to visually, may not necessarily be the one that's right for your lifestyle. So it's important to find the right breed for you. You can do your research. You can read about breeds, you can go online and read about breeds. But it really makes a difference when you meet them in person. So that's why Westminster, we always invite people to come to our show. The dogs are benched, which we're one of the few bench shows still around today and we feel that it's very important to remain event show because the purpose of that is the dogs are all organized by their breed, so you'll find all the beagles together with the beagles. So if you are a spectator, if you're someone coming to visit and you want to learn more about that breed, you know right where to go find all of the beagles in one area and you can talk to all the different owners and breeders and learn if that's the right breed for you. The good, the bad. You know what's the best thing about this breed? Are they noisy? Do they shed a lot. Do they require lots of exercise? Are they good with children? All the different things that need to be considered when you're making this 15 year commitment. Samantha: Absolutely. That is really important and I think it's important too for the relationship between the handler and the dog. If you choose a dog that is frustrating you and you basically bid off more than you can chew, the dog is going to respond to that as well. And so it's going to be tough to work with a dog when you don't have that connection. Gail: That's true. And you know, like I said, certain dogs are more independent and let's say you want a cuddling dogs, dog's who wants to cuddle with you, but you end up getting a breed that is more independent and doesn't really cuddle. These are things that… Or they shed more than you want to vacuum. These are all things that need to be figured out before you bring the animal home. Samantha: Certainly. And I think you made a good point about talking to the handlers because they're the ones with that every day experience. So some things that people might think about first off would be the personality of the dog and how much exercise it needs, the size of the dog. But some of those things like how much the dog sheds or how independent it is, you might not actually think about that until you talk to someone who deals with that breed every day and has for many years and knows those little aspects of the breeds' personality. Samantha: Absolutely. My next question kind of segues really nicely from that. I was going to ask you about if somebody does think so they've been to a couple of shows and they're thinking — yep, I think this is something I want to get into. And they figured out the right breed, where would they go from there? I'm assuming that first step would be to find a reputable breeder. Gail: Right. You definitely want to find a responsible breeder and when you're seeking to purchase a dog and bring into your family. The first place I would go if I didn't know somebody, and hadn't talk to somebody at a show and introduced myself and tried to get to know them and learn more in person. I would go to the AKC.org, which is the website of the American Kennel Club. They have a breeder's listing, by region. So you can find people in your area. Which is helpful because then you could actually call the people and go to their home, see how the dogs interact and be there in person with the animals and talking to the breeder. Another thing to look for when you are talking to breeders in your area is, are there a breeder of merit. 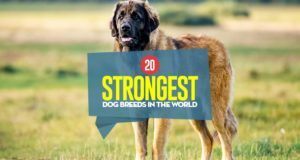 There's an AKC Breeder of Merit system, which these are breeders who it is proven that they do all the health screenings before breeding the dogs. That's what responsible breeding is this. It's making sure that the litters that you are creating are healthy, sound animals and that you back them up. If anything bad happens, like you can't keep the dog, the breeders will take it back. They don't care how old it is, what the condition is. They will always take the puppy back. Samantha: And for anybody that's listening that has questions or wants to check out the website. I will link to AKC.org. There's tons of information on there, like you said, about the breeders themselves, but also if you have questions about the questions you should be asking a breeder or how to go about finding the right breeder. They have lots of great information on there, so I will link to that as well as your Westminster site. Gail: Great. Exactly. Another great resource, once you have determined the breed you're interested in going to the National Breed Club. So if you're interested in Dachshunds, you could go to The Dachshund Club of America's website and you can find that through AKC.org or you can just Google it yourself. Then you'll go to what we call the parent club. Now the parent club is the national volunteer club that is for people that breed and compete with that breed. And so like the Dachshund Club of America, there are people that do agility that are members, people do obedience, people that do earthdog competitions and show people, people that show in conformation. How you say that. Hold on Samantha. This part you got to cut out. Samantha: I was just going to say, this part I can edit, so no worries. Gail: So when you're looking at breeders on a parent club website, it's good to know that if they're a member of a parent club, that means they have signed that they agree to ethical behavior, ethical breeding and ethical treatment of their animals. So that's just another thing to look for when you're seeking a responsible breeder. Are they a member of the parent club? Are they an AKC Breeder of Merit? These are the types of things that are a good sign that you're getting a responsible breeder. Samantha: Absolutely. I think that's important for anybody that's looking to adopt a dog from a breeder, if you want a purebred, not just necessarily if you're showing. Gail: Right and that is a great point Samantha, because one thing a lot of people do not know is that these parents club, and I'll just stick with dachshunds right now because I used to own those and I love them. Dachshund Club of America for example, all of the parent clubs have a rescue committee or a rescue component, and so they rescue. They go to shelters and get dachshunds, if there are any purebred dachshunds in shelters, they will take them out of the shelter. The club will pay for any health care that is needed. They will pay for any training if there's like a traumatic situation, the dog needs a little rehabilitation. They'll pay for that. They foster the dog and they find a forever home for it. So all of the parent clubs of the different breeds that show in dog sports are active in breed rescue. So if you're looking for a dachshund, let's say, and you don't necessarily want to show it or do any of that and you don't want to buy from a breeder, but you'd rather adopt if that's something that appeals to you, got to the Dachshund Club of America, go to that website, you will find the rescue committee chairperson and a contact name and you can contact them and be connected with an adoptable dog. Samantha: Oh, that's fantastic. I've been involved in the pet industry for over 10 years now and that's something that I didn't even know, so that's wonderful information. Thank you for sharing that. Gail: Something we're trying to get more people to know about because it's true. I mean, I understand if you want to adopt a dogs there are a lot of great aspects to that, but sometimes you still want a certain breed. So this does allow for that. And the clubs do all this with volunteer only and it's out of funds that they've raised for rescue and to cover for the different things that are needed for these dogs. Samantha: That's fantastic. Now let's say somebody finds the right breed for them, they find a breeder, they're working with them. How would they go about getting started in showing dogs? Gail: Well if you're interested in showing your dog there are a lot of great things you can do. The first thing is once the dog is old enough, around four months old when it's had all of his shots and is cleared by the vet to be out in the world, then you can start taking your dog to puppy classes. There are many dog clubs across the country. You you can find a club near you on AKC.org and find a club that has puppy classes and maybe the AKC Canine Good Citizen is a great program and they have a puppy star system that's for puppies. And it teaches general basic obedience where you're starting at the very beginning as a little puppy to come when called, walk nicely on a leash, all of those things while the dog is small and still manageable. Then as the dog grows you already have that foundation in place and as you know most of the training is for the owner, not for the dog. Samantha: Absolutely. How very true that is. Gail: But it's a great socialization for the dog to be out and around other handlers and other owners and dogs and in a safe situation where there's a trainer and things like that. So we highly recommend that you go to your local dog clubs and join a class, either a puppy class, puppy obedience or just one of those types of things. Then all of my dog's go on obedience training, whether I'm going to compete in obedience or not. Obedience training, calm down, sit, wait — all of those basic demands are so necessary for safety, first of all, for your dog's safety throughout their lifetime. Obedience is the foundation of all dog sports. No matter what you're competing in, the dog has to have a certain level of obedience trading. So that's just a great start anyway is to get it started. And you can also, at these dog clubs, they have classes for conformation showing which is the dog showing and so your young pup can start learning how to be set up, to be examined by the judge, how to walk properly on a leash for the show ring and how to learn the patterns that are used. There are a few common patterns in the show ring as far as gaiting the dog around and that's something that the owner and dog can learn together. That's what's so fun about dog sports is that you get to learn something new and do something different with your best friend. So it's a lot of fun and it's a great bonding experience. Samantha: I can't agree with that more. We have a chocolate Lab and when we got her my plan was to do agility work with her and we did and she did seem to enjoy it. But her love and her passion in life is swimming. So we actually ended up getting into dock jumping, which is not what I expected. But between her and I working together, we kind of figured out together that she did really well with agility. She's very food motivated, so that made it very easy to train her. But her passion was water and I never really thought about water sports with her, but we do dock jumping now and she loves it and I love it and it is a really great thing to do together with your dog. We've never left a competition with sad faces. We're both excited, happy. It strengthens that bond I think between you and your pet. Gail: Absolutely. Any training you do, regardless of the sport, any time that you're spending with the dog is going to increase that relationship, the strength of that relationship. You just know each other so well. That's something we always talk about on the telecast too when we're watching the show dogs, the top show dogs going around the ring. These dogs and the owner's travel the country and go to dog shows all year round. So basically this is what you do in your extra time, with your extra money and your extra energy — this is your hobby and this is what you do. And you choose to be with your pet and do things with your pet. I can't think of anything more rewarding. I feel the same way Samantha. I've done obedience competition and I've done earthdog competition which is for dogs that burrow underground and like Dachshunds who have to go underground and seek out quarry in a simulation type of competition. The dogs love it, as you said. They get great exercise. I'm sure your lab is getting great exercise, jumping and dock diving. And you get to train and work with your animal. It's just a special bond. It really is. Gail: And you know, it also really builds their confidence level. If you have a dog who's a little unsure or just, you know, maybe you got the dog later in life so it wasn't socialized properly as a puppy or something, dog sport and learning and training… Once they get that they're doing something you want them to do and they're doing it right and they get that reinforcement, they just, it really does bring out a confidence in a dog that might be a little little less full of themselves, you know. And so it can be very helpful for, for dogs like that. And then the rest of us just love it. Fantastic. That is all the questions I had, but is there anything about a Westminster or showing dogs that you'd like to say that we haven't talked about yet? Gail: Well, the one thing I would say is when you start showing your dog in actual competitions, once you've left the training classes, and you're in the ring competing at your local shows near your home. It takes time. Sometimes, when you start a new sport and it doesn't work out, you might get a little discouraged. And I just would say don't be discouraged. First of all, you're spending time with your dog. So that's great. And it's fun to travel and go do things and they like it too, so there's that fun. But you have to keep at it. You generally, if you're just starting out and you didn't win, it's usually because you need to practice more. A lot of it's about practice with any sport, you know. You have to practice, the dog has to be practiced more. Just repetition, doing it again and again and again. And will, you will win the blue ribbon. You will. And it's just hang in there and don't give up and always to win, lose or draw, your dog is always the best in show. And, and just make sure they know that and feel that when you're on your way home. Samantha: Absolutely. I can't agree more. That's… I'm sure it's frustrating, especially for first time handlers, you know, and like you said, I think it's something that a lot of it comes with experience so it's just putting in the time and the effort and it'll pay off in the end. Gail: It will. And again, if you do get a dog from a breeder will be a resource at the shows even. So they can be very helpful. When you're at the show, they can help critique your handling. They can help you learn how to groom better. Maybe you're not grooming the dog exactly right. Or maybe need a little help in that area. And that's something that other people can be, become mentors and really help you along. It takes time. It takes time, but it's a lot of fun. Samantha: Absolutely. Thank you so much for your time today, Gail. I really appreciate you coming on. And talking to everyone. Gail: Absolutely. I can talk about dogs anytime. Samantha: Agreed. Absolutely. You know, the reason that I started the podcast in the first place there was kind of a niche where there wasn't a lot of podcasts out there about dogs and pets in general. So, I love talking about them, and like you said, I could talk about them all day. My thanks to Gail for being on the podcast today. I really appreciated talking to her. It was a wonderful conversation talking about dogs, which of course we both enjoy. I hope you guys enjoyed this episode as well. If you could do me a favor and jump on our website theoryofpets.com. Leave a quick review. That helps me when I'm reaching out to experts like Gail and letting them know that you guys are out there and you're listening and you're enjoying it.